The fervour of the London Olympics in 2012 looks set to return later this month and the Olympic Stadium hosts the Athletics World Cup. And both days are being streamed live on the BBC iPlayer. In this article, we will tell you everything you need to know about this event, including how to watch coverage of this exciting event, no matter where in the world you are, by using a VPN. Athletes from across the UK will be competing with some of the top global talent, with stars from the USA, Poland, Jamaica, France, Germany, and South Africa on display. And with sporting patriotism on a high after England’s World Cup exploits, the World Cup Athletics event promises to be a truly special occasion and one not to be missed. The Athletics World Cup London 2018 event will be broadcast live on the BBC across the UK. And those who want to catch the action online will be able to stream live and on-demand coverage on the BBC’s iPlayer streaming service. However, if you are not going to be in the UK on the weekend of this event but want to stream coverage you will find that access to the iPlayer is blocked. This is because the BBC using geo-blocking technology to stop anyone outside the UK from streaming their content. They do this by checking each users IP Address. This small bit of code tells them where in the world you are connecting to the internet from. If it suggests you are abroad, the iPlayer will automatically deny you access. But there is a way around this problem. 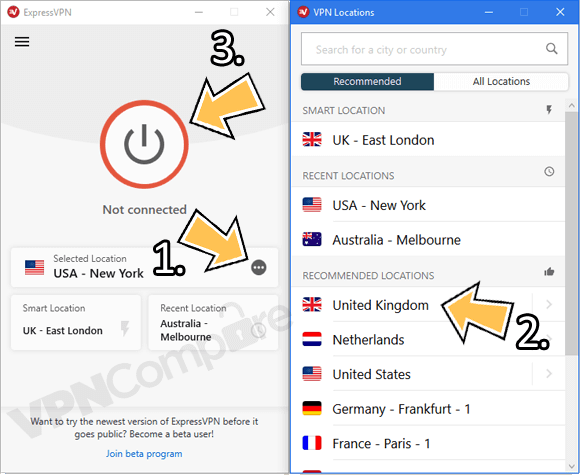 By connecting to a VPN server located in the UK, you are able to change the IP Address connected to your data to one based in the UK. This means that the iPlayer can be fooled into thinking you are in the UK even when you aren’t. The BBC has tried to crack-down on this practice, but with limited success. While a number of VPN’s do not currently work with the iPlayer, many more, such as ExpressVPN, do. Click Choose Location and then select United Kingdom. Once the app has connected visit the BBC iPlayer website to access live and on-demand coverage of all the World Cup Athletics action. The Athletics World Cup London 2018 event takes place over the weekend of the 14th and 15th July at the London Stadium, formerly known as the Olympic Stadium, in Stratford, East London. It is the first major athletics event to take place in the stadium since last year’s IAAF World Athletics Championship, which proved that there is still a huge appetite for top-class athletics in the UK. There will be two floodlit sessions packed with action across multiple different events. All track and field events up to a distance of 1,500 metres will be contested by both male and female teams from each of the eight nations competing. There will be no heats. Instead, each event will be a final with a single competitor from each nation taking part. The British team taking part looks to be a strong one. A number of recently crowned British champions are included, including sprinter Beth Dobbin and long jumper Lorraine Ugen. The Welsh former world 400m hurdles champion Dai Greene will be competing as will World Indoor 60m hurdles gold medallist Andrew Pozzi. 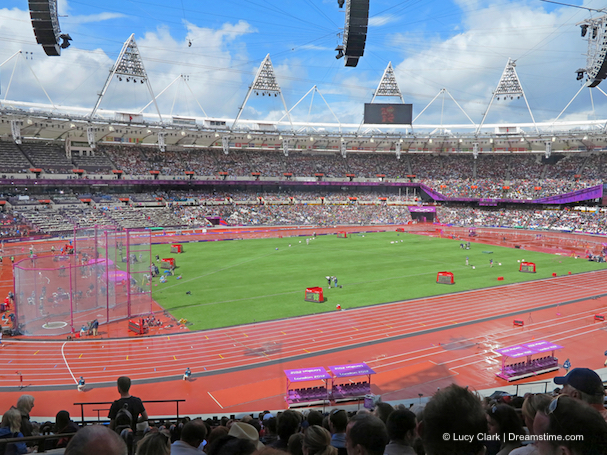 Fans of athletics will be keen to enjoy the unique atmosphere that a major meeting in the former London Olympic stadium offers. But, while the BBC will be offering extensive coverage to UK viewers, those overseas will have to use a VPN to access this. We have recommended ExpressVPN as the best provider for the job and outlined the steps you need to follow to use it to unblock Athletics World Cup London 2018 on the BBC iPlayer. It is a really simple process and well worth the effort if you don’t want to miss out on what promises to be a thrilling weekend of athletics competition.